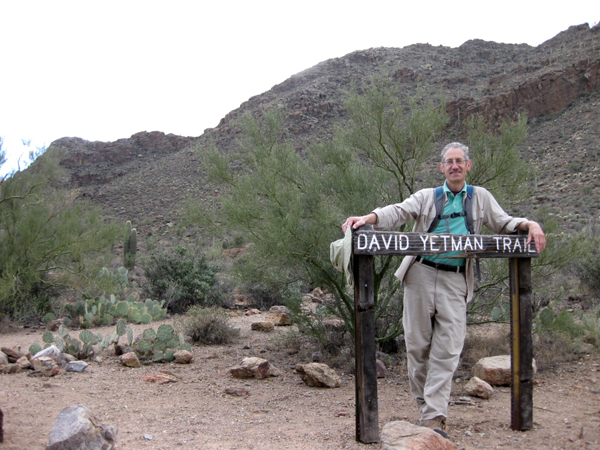 At the end of Star Pass, we started hiking the David Yetman trail with our friends. 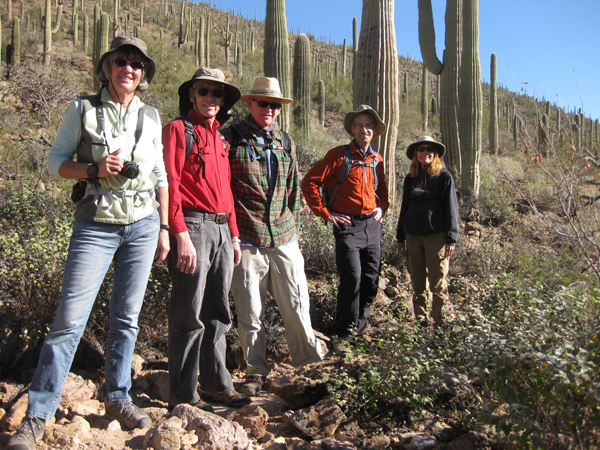 This also went to Bowen ruins, where we enjoyed a picnic lunch, and Lee Hidden Canyon for the return journey. 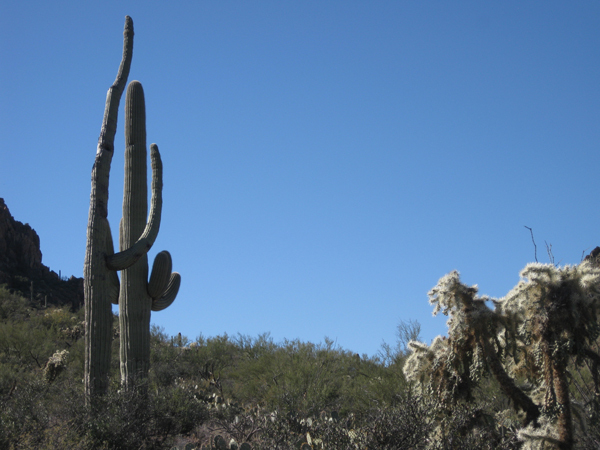 And here we are adding some contrast to the saguaros. 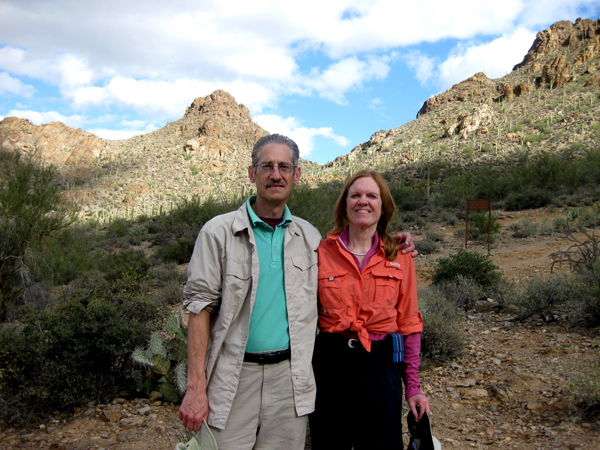 It was a really pleasant day with the temp around 60 – perfect for desert hiking. Last year we all did a hike together on the 31st so maybe this is going to be a new tradition? Aren’t they such a cute couple? 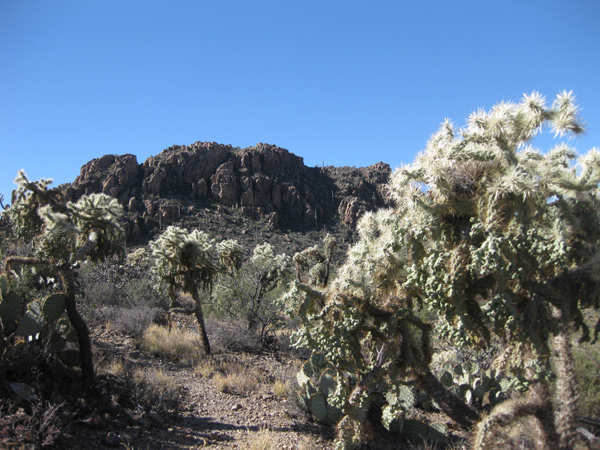 A chain cholla forest because you are probably getting tired of our saguaro photos! 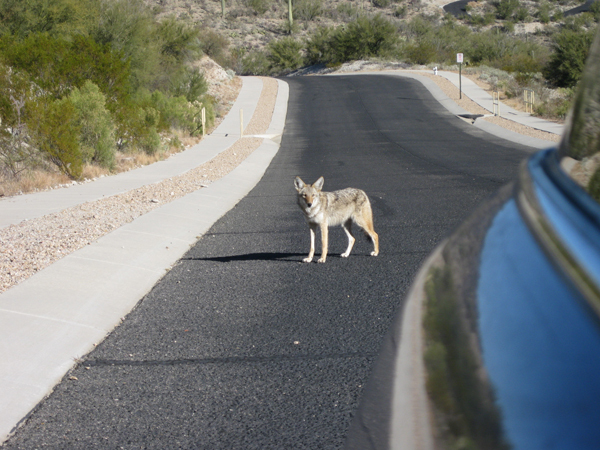 Willey Coyote pausing to check out the MINI. 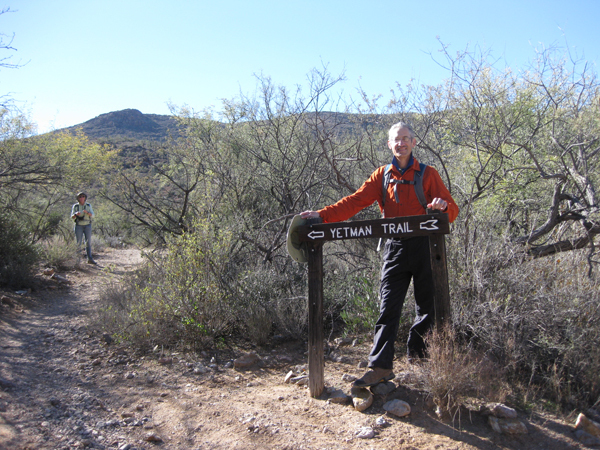 A few days earlier we had started at the West trail head near Gates Pass. 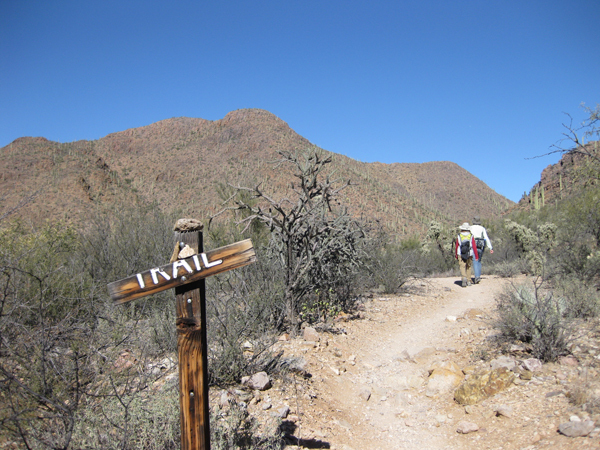 The entire trail is 12 miles so we have left a chunk in the middle un-observed by us. 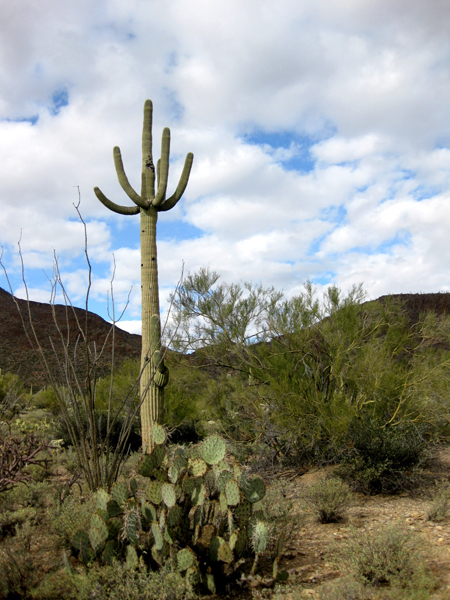 Saguaro National Park West adjoins this park and was once a part of it – same beautiful scenery. Nice weather warmed up to the low 60’s. Perfect for a hike! 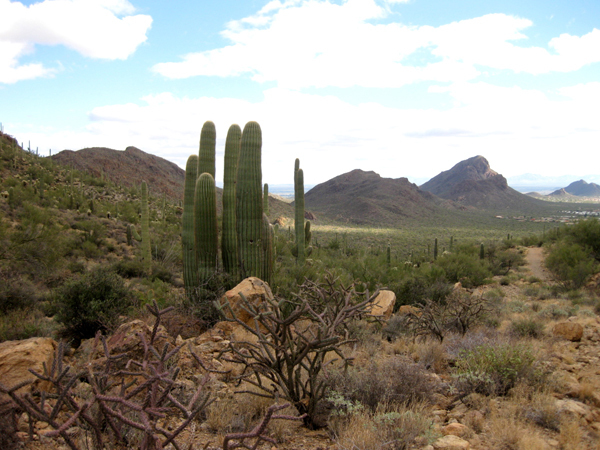 It is amazing how green the desert is in December! 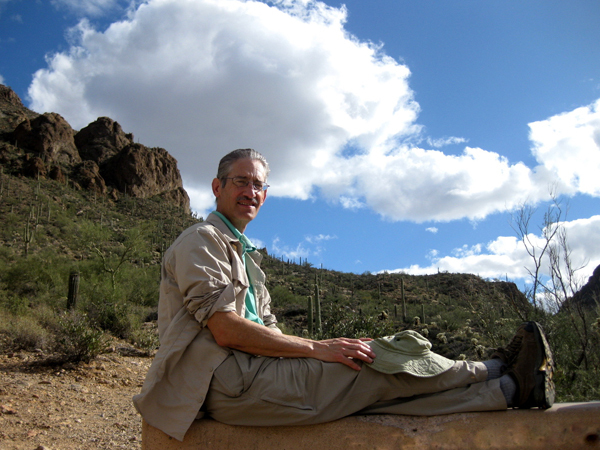 A good rest at the end of the David Yetman West hike.